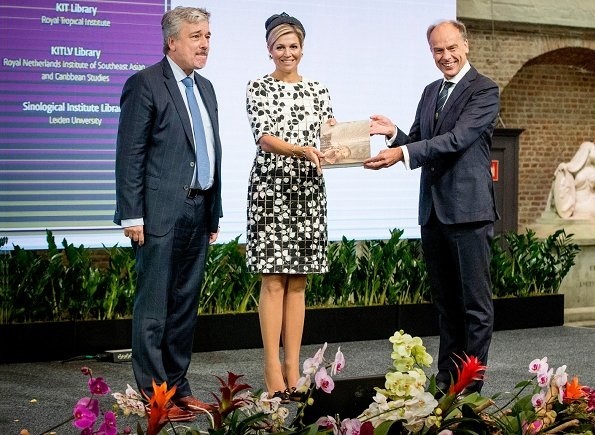 On September 14, 2017, Dutch Queen Maxima opens the Asian Library of University Leiden in The Netherlands. 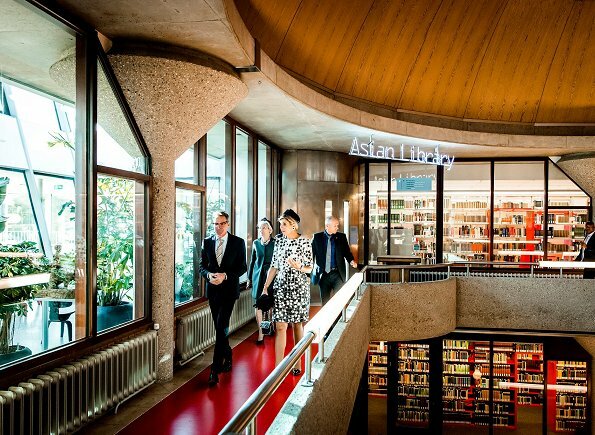 The Asian Library has 30km of research and education material about Asia including prints, books, manuscripts and photographs. 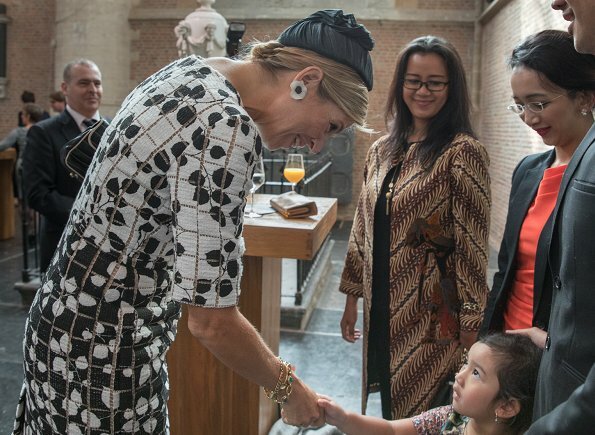 Queen Maxima wore a new leaf print dress by Carolina Herrera. I may have black and white weeks going on when all these black and white outfits look now so great. Like it and I like also her hat. I don 't like hat,it isn 't looks good.Dress is pretty but it isn 't dazzle. I like this whole look. Well done! 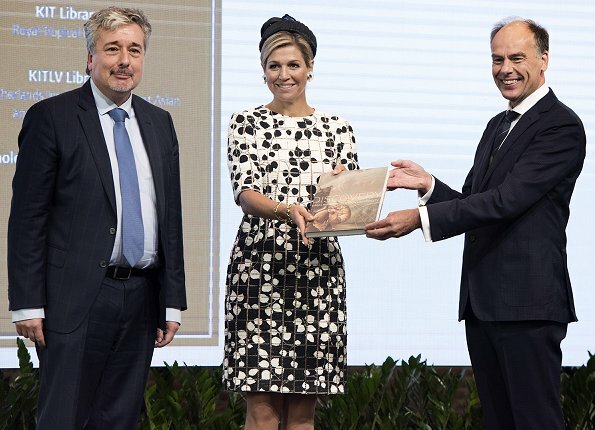 Yes, great dress - a bit too short - but that glob of a hat adds nothing to the look. She is known for imaginative hats, but this one is boring. Knees just aren't the most attractive thing to show others, especially when you are being photographed all of the time. on the fourth photo are the princesses of Jogjakarta.